Indian mothers have this way of making the difficult seem routine. At least that’s how it is with Indian mothers of my mother’s generation. I’ve had this conversation often with Indian women of my own generation. We recall the meals our mothers cooked daily – often after coming home from work and completely from scratch without much help – and how those meals for us are considered “Sunday” meals, time intensive and requiring a high level of preparation. An average meal made by an Indian mother of my mom’s generation, like those that I grew up eating daily, is a “special meal” for most nowadays. 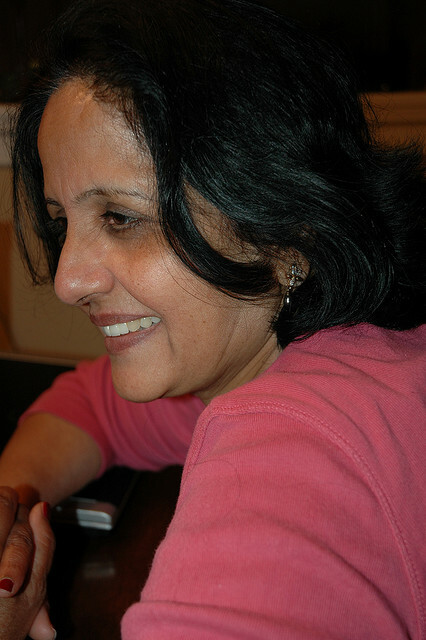 My mom arrived alone in the US in 1973 as a newlywed young woman, a still new mother toting my then 1 year old sister and speaking very little English. She was just 23 years old but she must have been a combination of brave, adventurous and somewhat scared. Soon after marriage, my father had left India for the US to complete his masters. A year later, my mother was joining him. She was ill prepared for an American winter with sandals and a sweater having left behind the balmy weather of Chennai. Weather isn’t the only thing she left behind. My mother grew up in a family of eight children surrounded by aunts, uncles and cousins. And she left them all almost 9,000 miles away joining just my father in his university issued apartment. Seven years later, she made the trek back home with three young children in tow – my sister then 8 years old, my brother 6 years old and me just on the verge of turning one. Together we flew almost 20+ hours back to India where she saw her parents and family again for the first time. When I fly with Surya – particularly on our first trip with her to India at almost the same I was on that trip with my mom – I recall how hard it must have been for my mom. A still young, sari wearing woman more familiar speaking Telegu or Tamil than English, reserved amongst foreigners and of less than modest means managing three children on a tiring journey. I’m too young to remember the trip, but I’m sure she managed with grace and dignity never complaining about being tired. Almost twenty years later, my mom went back to school and finished her undergraduate degree. She’s broken the “mom doesn’t know how to use the internet” stereotype becoming proficient at all things technology related, braving a classroom full of younger students and advancing in a language still somewhat second nature for her. Most importantly, she followed her dreams and continues to do so today – taking adversity head on. 1. Never say you’re tired. Energy is a state of mind. 2. Life may be tough, but remain resilient and perseverant. It’s the the hallmark of a strong woman. 3. Be loving and lovable but get a strong education and a professional occupation so you can be independent. 4. It’s never too late to go after your dreams. 5. Always wear earrings, a touch of powder and a dab of perfume. You never know who you’ll see. Happy Mother’s Day Mom! You set the bar high but you taught me to be one tough girl. What a lovely post! Really enjoyed reading it. You totally captured it! I often wonder how they do it all, and especially admire them now that I am a mother now too. 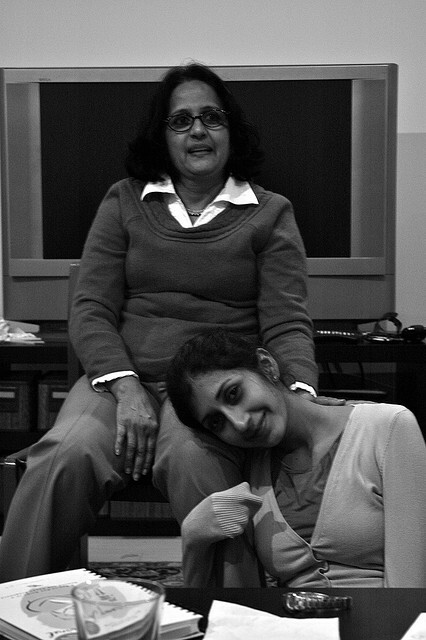 Nithya – I enjoyed your post, it captures the spirit our both your mom and our truly amazing Indian mothers. I still remember our high school days fondly and time spent at your house, your ever adorable mother! I hope she is well and I look forward to seeing you in a few weeks. 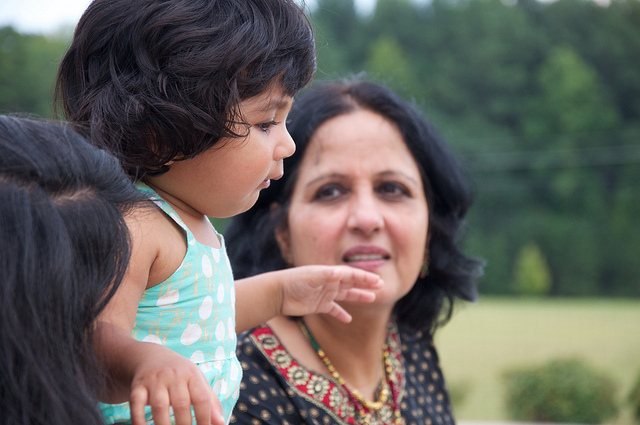 Hi Nithya – Great post about Auntie! I witnessed all you said about Auntie last weekend. Hey Priya, I’m glad you all had a wonderful time there. Hope you’re recuperating post Sandy!